Orbit and Ritual is a student collaboration made during composition courses in the School of Music and video and scupture courses in the Frostic School of Art. Students in Video Art II were each assigned specific segments of an original composition by Nathan Haering. Their resulting videos were then joined to create a video interpretation of the music in its entirety. Sculpture students responded to the same piece of music by designing and fabricating a single large-scale fabric sculpture. 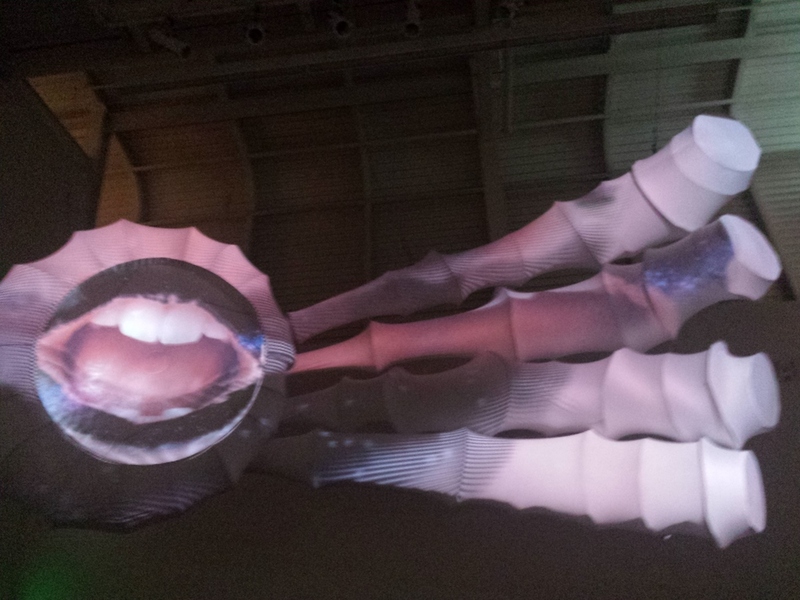 The videos were the formatted and masked for projection on the surface of the scuplture.